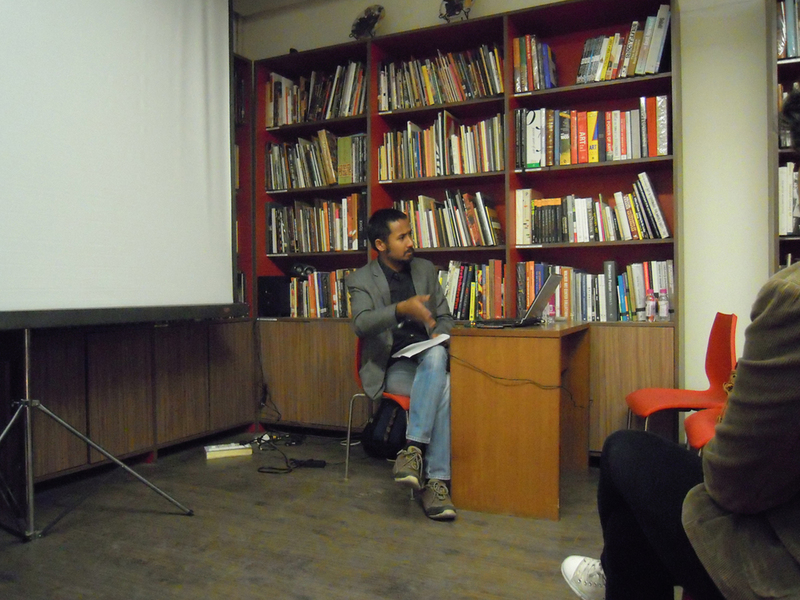 Diengdoh will talk about his public art project KALI KAMAI which received the FICA Public Art Grant 2009. He will also discuss his other recent projects which have developed as a result of his sustained interest in the city of Shillong, Meghalaya - its history which is marked with instances of violence and control, its identity in a rapidly changing world, its rich oral tradition, and the role of music in connecting its past to the present. Selected images, recordings and videos of the KALI KAMAI project will be on display at the FICA Reading Room along with some of his other recent works which include 19/87, his debut award-winning film set during the 1987 communal riots in Shillong; U ‘tiew Tyrkhang/ The Fern, a video of Ma H. K. Wahlang, an aged duitara player narrating a short musical story in Khasi; Tryst with memory, an audio-visual about three friends reflecting on what it was like living in Shillong during the riots set to the tunes of guitar; and Tarik, a music and visual project which focuses on a musical style that complements the spirit of Shillong. The KALI KAMAI project was initiated by Diengdoh in 2009 in Shillong as an attempt to build a commentary on the changing social landscape of the city and explore the relationship of the individual to the city. Using a modified local taxi, or KALI KAMAI, as the site for his investigation he developed a series of conversations with various publics during their travels across the city. The concept and design of the KALI KAMAI purposefully recalled popular Khasi folktales which are integral to the oral tradition in the region, and contained an interactive audio-visual installation with archival material on the city's history, people, communities and places, prompting the travelers to share their personal stories while viewing this material. Diengdoh will talk about the conceptual frameworks of this project, his process of research, and the experience of taking part in these public conversations.